Interesting…as is the fact that each chapter of Naomi and Her Daughters alternates between The Past and The Present, with each written in past tense, and then present tense, respectively. Despite these style choices made by author Walter Wangerin Jr., which initially presents a challenge, the story eventually begins to draw you in. The book fictionalizes the Old Testament Bible story of Naomi, Ruth, and Boaz, taking some creative liberties with additional characters such as Naomi’s “adopted” daughter Milcah, whose story constitutes the first section of the book (and none of the biblical account), with Ruth and Boaz taking the spotlight in sections 2 and 3. The actual book of Ruth in the Bible is a great read and one I’d recommend every mother read aloud to her teen daughters, like I did with My Daughters over breakfast each morning for several weeks. The story is an incredible testament to a woman’s love and dedication to God and to family. And a good example of what kind of man you want your daughter to bring home from the threshing floor. Mom, meet Boaz. I’ve only participated in two Zondervan reviews and have found that most bloggers do a very surface review of the books and more readily give 5 STARS!!!!!!!! rather than a balanced review. I agree that if I were to review books on my own they would also be more “organic.” This book didn’t elicit a strong reaction from me as a reader, so it was a challenge to give a strong opinion one way or the other. I just finished The Red Tent this morning, which is the fictionalized account of the wives of Jacob told from the perspective of his only daughter Dinah (this is just a personal read). Incredible detail and storytelling but also a book that left me feeling unsettled as a Christian. 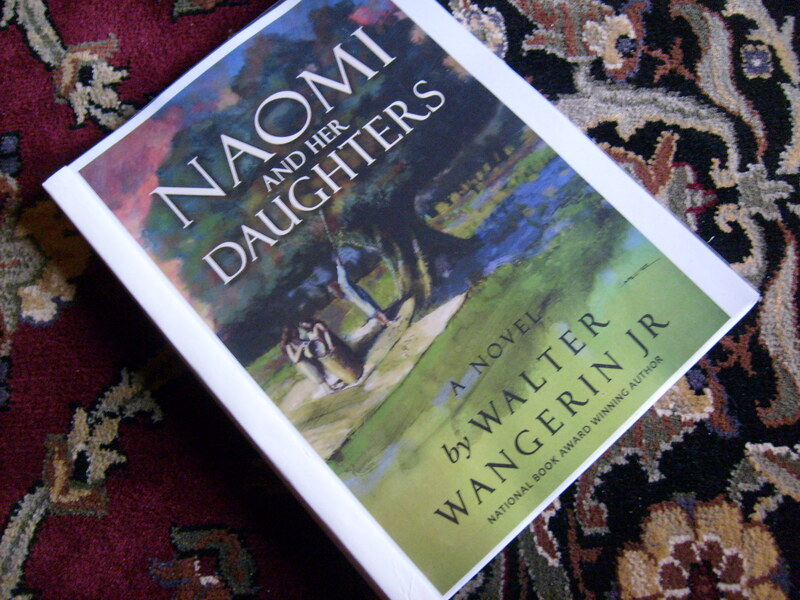 This book stirs me more to write about my reactions, which are deeper and more varied than those I felt after reading Naomi and Her Daughters. Amanda, in general, what do you think of the whole Blog Book Review system? I’m asking because I’ve done a couple of book reviews on my own; that is, they were books I read, and I wanted to tell people about them, so I blogged a review. Then I joined BookSneeze, and they give bloggers free books in exchange for a book review. So I found myself searching through their selections, trying to find something I might want to read and/or write about. I felt like those reviews were less “organic” than the previous ones I had written. Have you had the same experience? I haven’t read any of his other books. What is the title of the one on marriage? I enjoyed the book. Let me know what you think of it. Funny :0…I, too, hate present tense stuff, almost as muchy as I mind people writing about themselves in third person…. I haven’t read my copy yet. It is in my to-do stack, but I am a fan of Wangerin’s work. His book on marriage is one of my favorites.